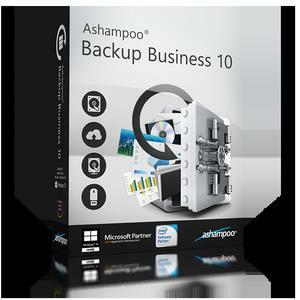 Ashampoo Backup Business offers the full feature set for professional data backups. Whether you only need create local backups or store your sensitive data in the cloud - naturally with strong AES-256 encryption - the program has you covered. Single PC or network environment, Ashampoo Backup Business has the tools you need. Administrators will love the command line support and the ability to run custom commands before and after backups. Even sleep mode is controllable for affected PCs.